Discover beautiful landscapes alongside sparkling pools and leisure activities to keep the whole family entertained. Overlooking the coastline, Hilton Sorrento Palace is home to magical views of the Bay of Naples and Mount Vesuvius. Relaxation, excitement, beauty – experience it all at our idyllic Sorrento hotel. Breathe in the scent of glorious citrus groves while you lie next to six outdoor pools. Savour a cocktail or light bites at the poolside bar, or gaze out over the Bay of Naples from your room’s private balcony. To ensure your trip is truly relaxing, our multi-lingual staff and concierge service are here to help plan every detail. Get set for Easter with a wonderful holiday with family, friends or for a couples retreat! Plan your next break at the Hilton Sorrento Palace: a rich program is ready for you! Relax for adults and entertainment for kids. 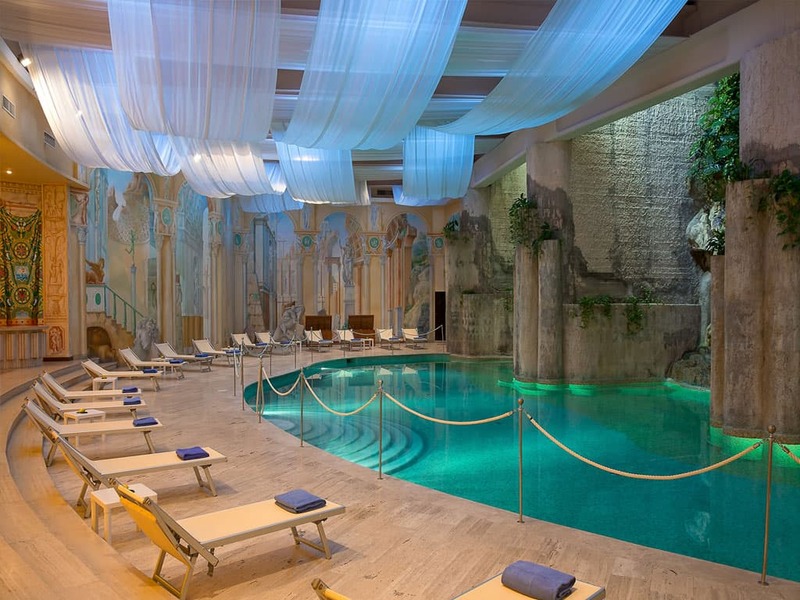 Our unique indoor pool is surrounded by tropical plants, marble columns and frescoes. The pool is inspired by traditional Roman Baths and creates a one-of-a-kind space for weddings, special events and fashion shows. Six connecting outdoor pools overlook the scenic coast, the Bay of Naples and Mount Vesuvius beyond. Relax on a lounger under fruit trees, paddle in the tranquil water or teach your little ones to swim. Challenge friends and family to an exciting match on the floodlit all-weather tennis courts. Work on your backhand under the Sorrentine sun or if football is more your sport of choice, the tennis courts can be converted into a five-a-side football pitch. Tennis rackets, tennis balls and footballs are available at reception. Maintain your fitness regime in the hotel’s modern fitness room. The gym features the latest cardiovascular and weight training equipment, including step machines, exercise bikes and treadmills. Towels and water are provided inside the gym. 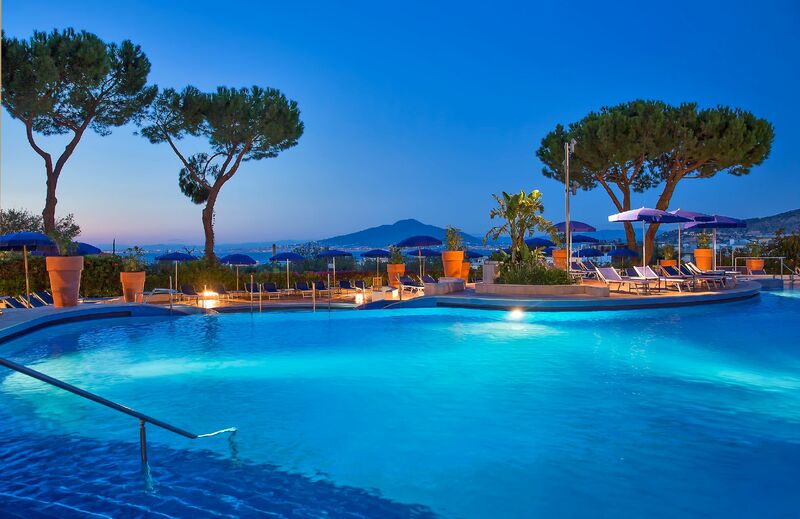 Hilton Sorrento Palace boasts family facilities to accommodate our younger travellers. The Kids’ Club operates from 15 June to 15 September, for children aged from 4 to 12 years old, and offers professional supervision and tailor-made kids’ activities to ensure your children have a safe and unforgettable time in Sorrento.